Children are a gift from God, and parents will do anything in order to keep these little blessings safe! Unfortunately for a father named Harry Speath, the unthinkable happened when his worst nightmares came true. It was in December of 2014 when Harry went to pick his two kids up from their school in Brisbane, Australia. But 5-year-old Serena and 4-year-old Thomas never walked through the gates to meet him. To his horror, the school actually told Harry that the two children hadn’t been at school in days! 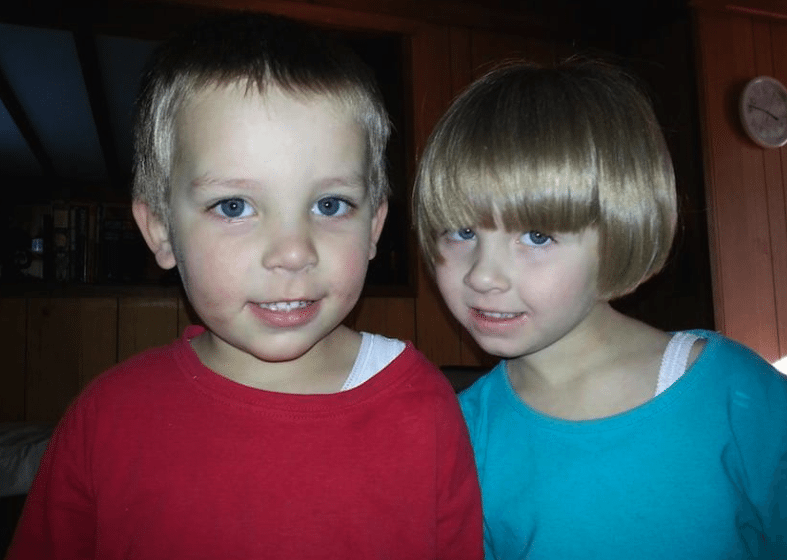 This discovery began a gut-wrenching search for the two missing siblings. The last time Harry saw Serena and Thomas, they were with their mother, Harry’s his ex-wife. Harry started to fear that their mother had taken them to Europe and vanished. Harry spent so much time and a fortune in hopes of finding his babies. He even hired a team of professionals and flew all around the world in search of his kids. But, there was no luck. Serena and Thomas weren’t found to be enrolled in any new schools and their Medicare cards hadn’t been used. “Today I am reflecting on a monumental milestone in the timeline since the abduction of my children by their mother. It is three years exactly since I’ve obtained any news as to their education, health, wellbeing and so many other things that any concerned parent takes for granted. It’s been three sets of birthdays (both theirs and mine), Christmases, Easters, Father’s Days, three years worth of holidays, countless visits to their paternal grandmum, aunt and indeed their half brother’s visits from his overseas work assignments. In that time, none of us has had the normal family pleasures taken for granted by normal folks. Harry’s emotional post began to go viral online and his story continued to be pushed out through the media. But, this time his plea had a different answer. 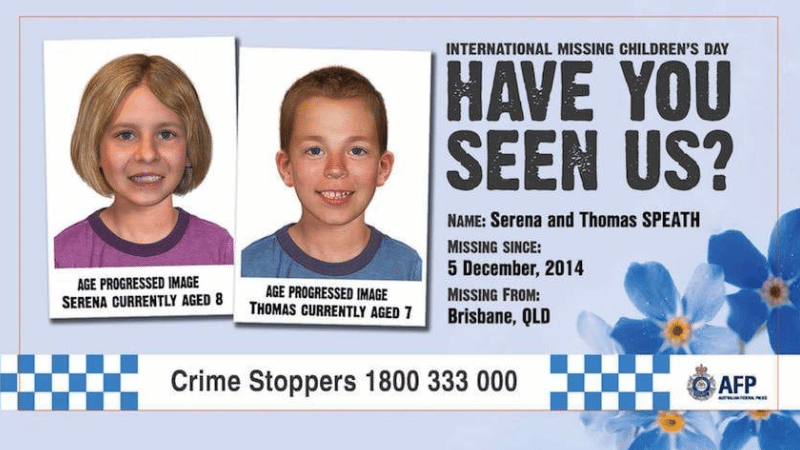 One day in December 2017, Harry’s seemingly endless search had finally come to an end when the Australian Federal Police officers showed up at his doorstep with two early Christmas presents: his missing kids! Share this story to encourage your friends with this amazing story! Previous Previous post: Woman loses wedding ring while gardening, finds it wrapped around a carrot 13 yrs later!